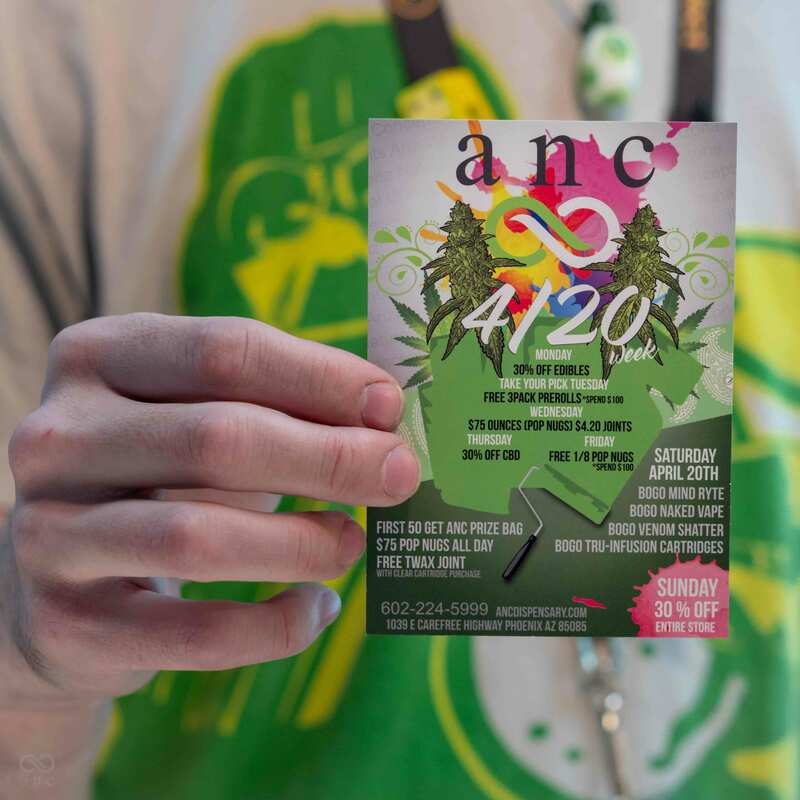 Check out our specials below and see why ANC in Cave Creek is the best Medical Marijuana Dispensary in Phoenix Arizona . We add new items and specials daily, please check back frequently! when you leave a review on Google, Leafly, Facebook, Weedmaps, or Yelp.